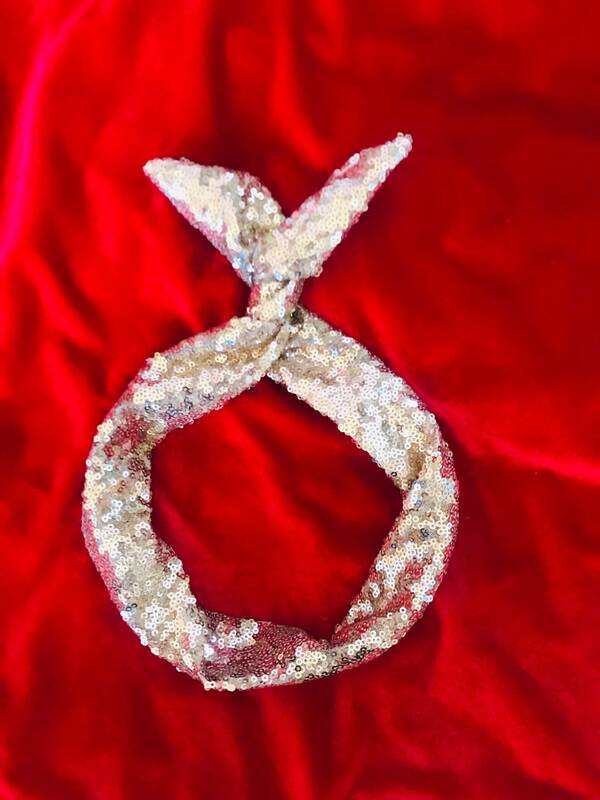 This gold sequin headband has a secret, it is a twistable wire headband. Easy to use, comfortable to wear and no headaches. 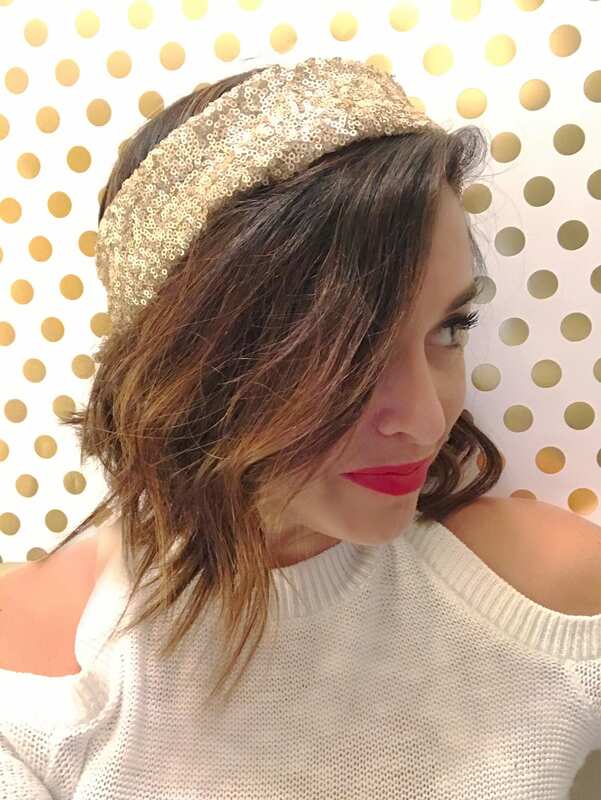 This headband is so easy to wear as it conforms to your head with ease. 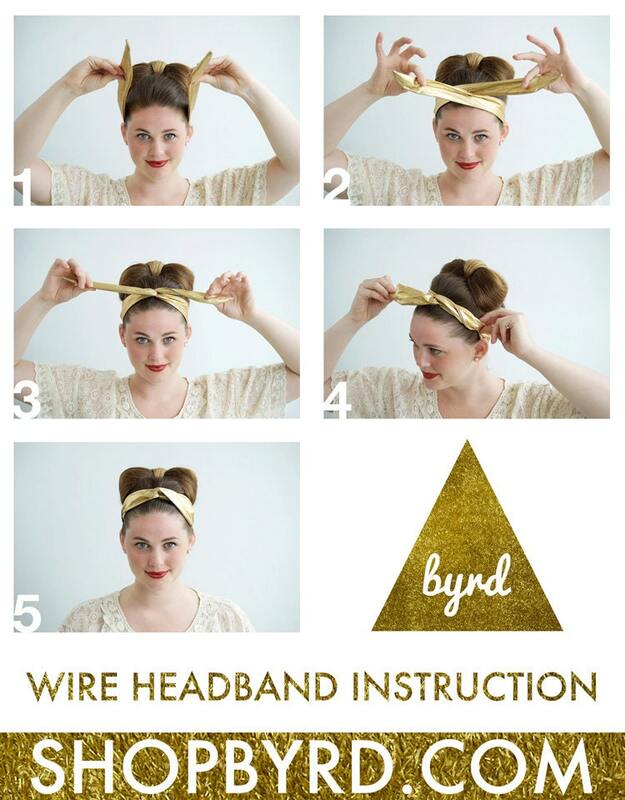 There are so many ways to style it. 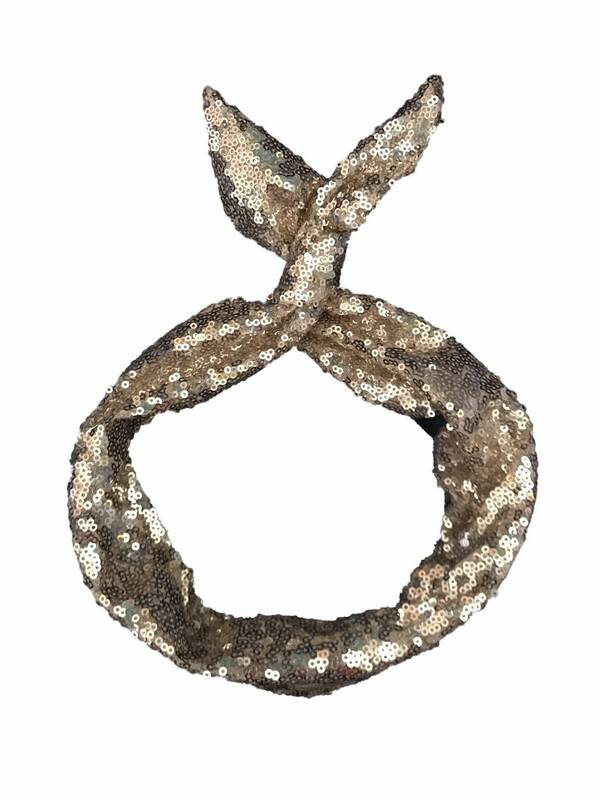 Wear it as a turban, around your ponytail, top knot style and more. 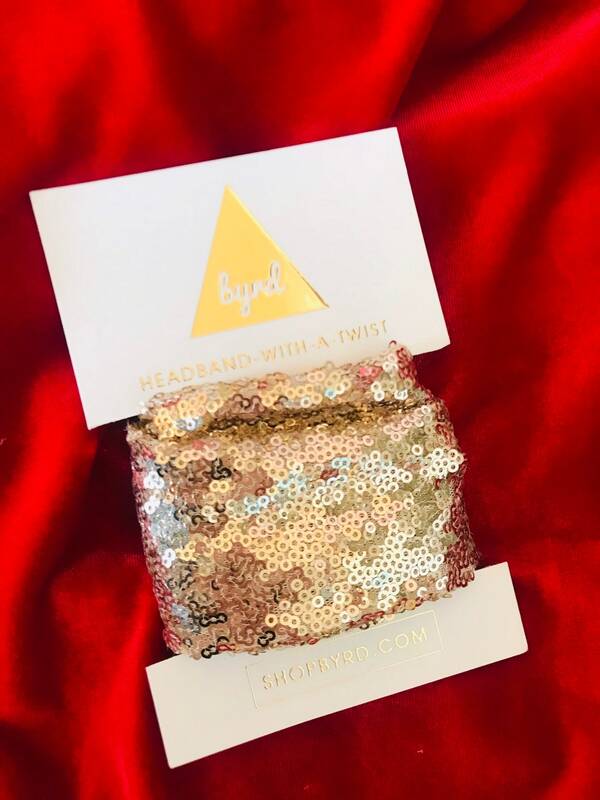 Byrd Bands are 2" wide and 32" long. Your headband Ships in 1 – 2 weeks. Whether you order for yourself or your child, you will soon discover why this is the number one favorite with our customers. 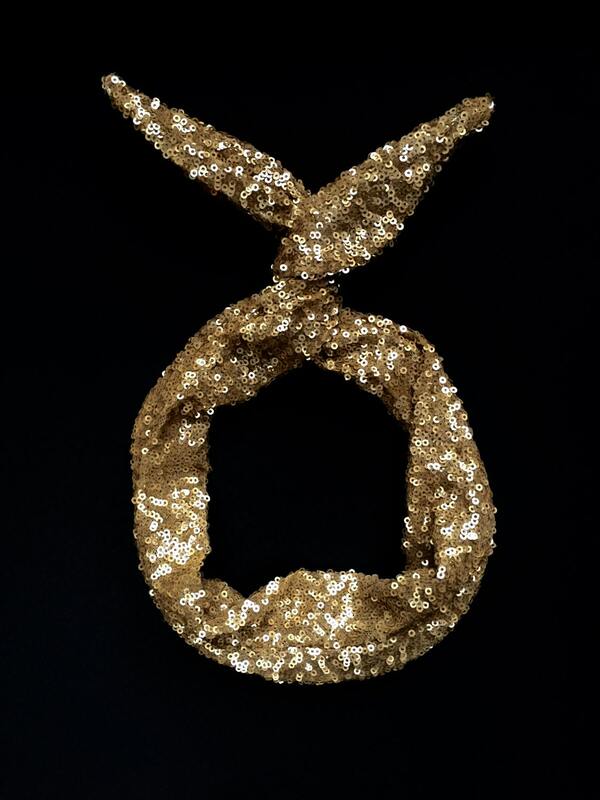 Place your order today and soon you will be wearing your very own twistable headband in a variety of ways. Only use with adult supervision, remove headband when child is unsupervised or sleeping. Super cute, one end of the wire doesn't completely reach the end of the fabric but other than that its exactly as described. Like the item a lot but was very disappointed that as well as paying high postage charges to ship to the UK I had to pay another £13 customs charge before I could collect the parcel. Happy to pay extra to get an item shipped from overseas but not to pay twice! Wonderful product!! Very happy with my purchases and have been recommending this shop to all my friends!